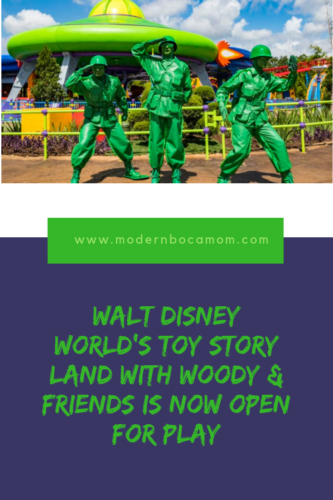 This Toy Story Land Orlando travel post was written by my sister and Modern Boca Mom contributor, Lauren Ricks. 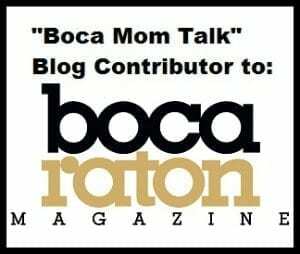 I am so happy she decided to share her experience with these new Disney attractions with all of us! Enjoy! It’s OPEN! So many people (including me!) 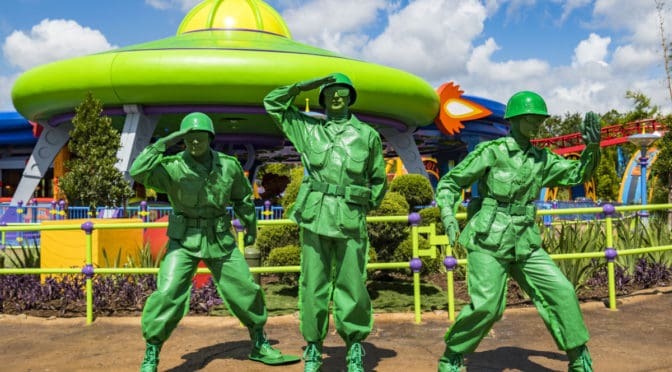 have been waiting for the arrival of Toy Story Land Orlando at Walt Disney World’s Hollywood Studios. We Floridians wanted to see it for ourselves so badly after all the hype that we even braved the summer heat! After some strategic Disney Resort planning, we decided to take advantage of extra morning magic hours (arriving at 7:00 a.m. at Hollywood Studios). 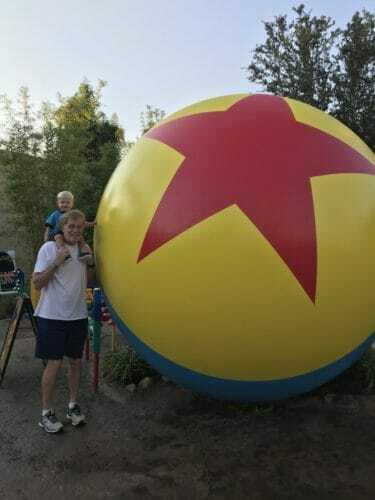 That way, we would hopefully have a better chance at making it onto some of the Toy Story Land rides. I’m always working to avoid the crowds and late morning heat. It ended up being a great idea! Toy Story is one of my all time favorite movies. It’s so amazing to share it now with my son, Aden. 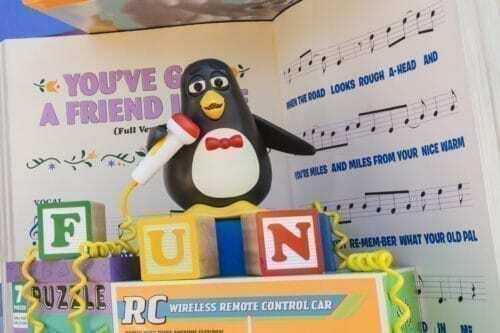 Disney spared no detail in the land. It was so colorful and true to the films. You are greeted by Woody himself as you first walk in and then BAM! 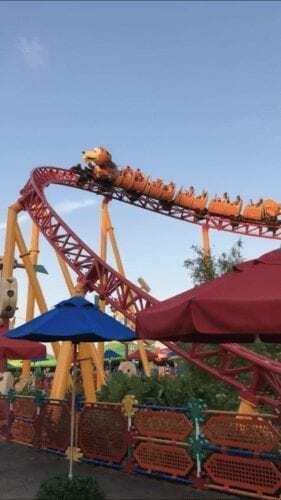 Slinky Dog Dash roller coaster is right there! This family-friendly coaster coils and twists around curves, hills and drops. We didn’t get a chance to go on this ride as the wait was already 45 minutes (and my son is too young). But, it looked so neat! If by chance you can get a Fast Pass, take it! We did, however, get to board a toy rocket and spin through space on Alien Swirling Saucers! All ages can ride this one and we enjoyed becoming one with the toys. If you’re really lucky, you might even get “chosen” by the claw. Oooooo! 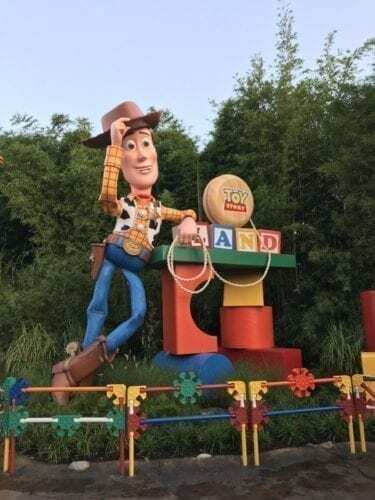 The third ride in the park has been at Hollywood Studios for some time, but they integrated it into Toy Story Land with a few upgrades. It’s none other than Toy Story Mania! Ride ‘n’ blast moving targets at this midway-style, 4D shootin’ game starring popular characters. It’s another all ages ride that has so many things to see in line before you hop on. We didn’t wait more than 5 minutes for this one! 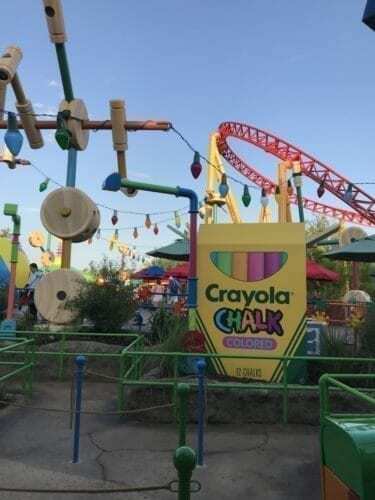 As I mentioned before, Disney spared no detail in Toy Story Land Orlando when it came to this part of the park. 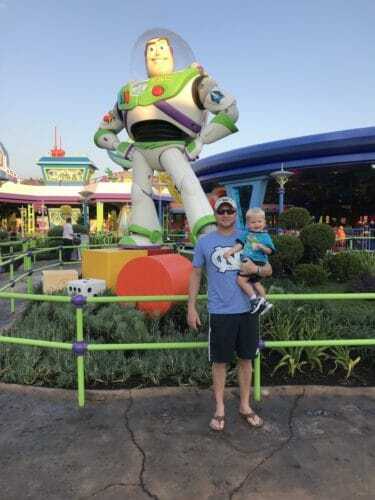 You feel like you have become the size of a toy alongside Woody, Buzz Lightyear, Jessie and the rest of the Toy Story gang—all in the so-much-larger-than-life setting of Andy’s backyard. We were surrounded by toys including this GIANT box of chalk! There were building blocks and board games rigged up into a playground. 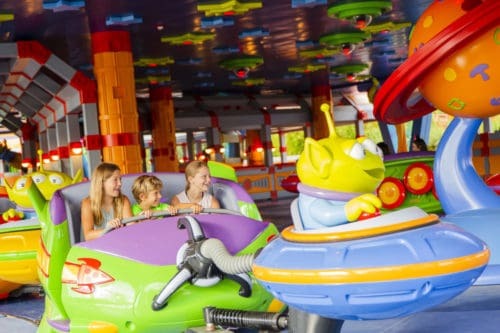 Kids and grown-ups alike can play with the new attractions, enjoy fan-favorite experiences and other Toy Story adventures. 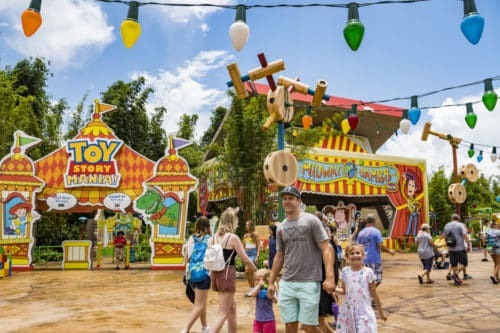 Toy Story Land Orlando is definitely worth visiting…especially as it gets cooler out. But, be sure to go in with a strategy so you can *hopefully* skip the long lines. 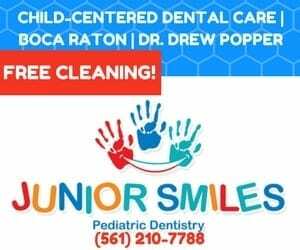 Kids will love it and so will their parents….time to play! 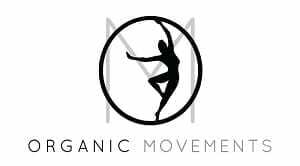 Previous PostSOLD OUT Winter 2018 Mommy & Me Registration Open at Grandview Preparatory SchoolNext PostThis Program is Looking For the Next Great Local, Teenage ‘Changemaker’!